A few years ago I wrote a post about what chickens need in winter. But in recent years, I’ve seen a variety of things suggested online, which are either unnecessary or a downright bad idea. Some people have unfortunately killed their birds with kindness. 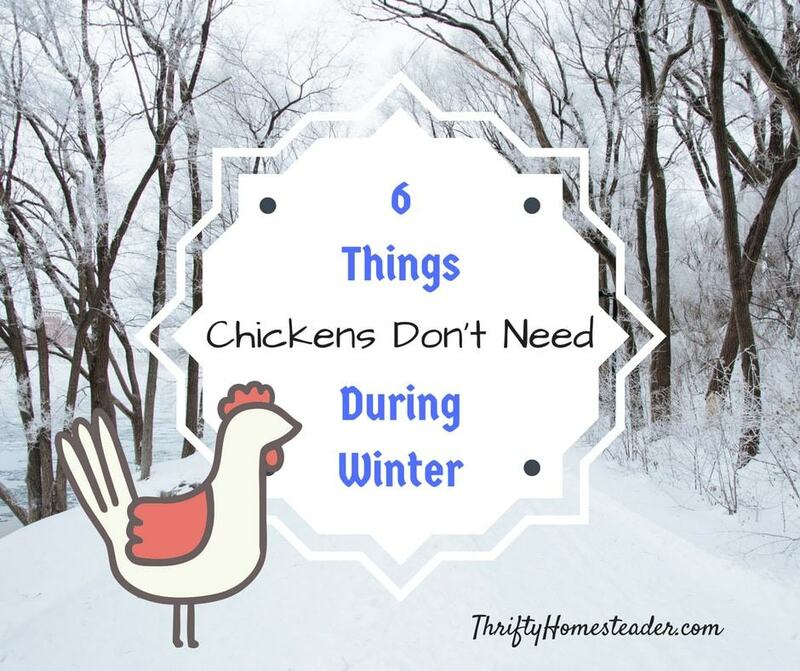 So, today I’m going to talk about six things that chickens do not need in winter. I cringe every time I see a picture of a chicken in a sweater on social media. No, chickens do not need sweaters. In fact, this is a very bad idea for several reason. Chickens stay warm because their feathers are fluffy. When you put a sweater on them, that weighs down their feathers, removing the air, and they will actually be more cold. A sweater will also prevent them from their usual grooming and preening. Many of the pictures I’ve seen cover the chicken’s body completely, including the wings, which means it can’t even flap its wings like a normal chicken. This would be like putting a person in a straight jacket. And if they are wearing a sweater, it could get caught on something and cause them to get injured or caught by a predator. If you own a down jacket or a down comforter, think about how warm it is! Some people say you need to do this to prevent frostbite on combs during the winter. However, chickens have done just fine since the beginning of time without anyone putting petroleum jelly on their combs. What really causes frostbite on their combs is moisture. If you have them in a coop that is insulated, moisture will build up, and they are more likely to get a frozen comb. Once in awhile one of our roosters will lose a few tips on his comb, but our hens are totally fine, and we’ve had temperatures get as low as 20 degrees below zero Fahrenheit. The other thing I don’t like about this is the petroleum jelly. It is a petroleum product. I don’t use any petroleum products on my body, and I’m not going to use any petroleum products on the body of any animal that is producing food for us. Heating the coop will result in chickens that are not acclimated to your climate, and if you have a power outage, they will be really unhappy. Also, when people heat their coop, they usually insulate it, which is a bad idea. Insulating the coop will cause moisture build-up, which will result in frozen combs, as well as respiratory problems. Your chickens don’t need a lighted coop. They’ll be totally happy with the longer nights in winter. However, that means they won’t be laying as much or may take a break until the days get longer again. We don’t light our coop because I feel that if Mother Nature thinks the girls need a break, who am I to argue. The freezing point for vinegar is 28 degrees. The freezing point for water is 32 degrees. If you put a splash of vinegar in water, it is not going to lower the freezing point much, if at all. And if it gets lower than 28 degrees, there’s no point at all. If you have a problem with water freezing, either buy a water heater or use two bowls, and swap them out as one freezes. Don’t worry about water overnight, as chickens don’t drink overnight. They’re practically blind in the dark and don’t leave the roost until sunrise. So, what do chickens need in winter? Keeping chickens in a cold climate is not hard. I’ve even met Alaska chicken keepers online who’ve said they don’t do anything special during the winter other than use a water heater. Your chickens do need a place where they’ll be protected from wind, snow, and rain, but other than that, they’re well equipped to brave the cold far better than we are. For more details, check out my previous post on chickens in winter. 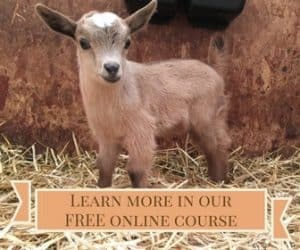 Subscribe to get our weekly newsletter, and we'll send you a copy of "Winter on the Homestead," which gives you information about caring for your chickens, ducks, turkeys, and goats through the winter -- including how to deal with kidding! I too was wondering if I should insulate chip coop. Now I know not to. I have a dog dish that keeps water from freezing and they seem content with that. Because they are stuck in coop when it rains or snows I put straw on a bunch so they have something to scratch in until they can go outside. My grandmother raised chixs for eggs and she had a lite that she turned on at bout 4:00 or so on morning, switch was at the head of her bed so she set alarm and turned on lites .Said they laid better by being awake in morning. So we have a timer. I’m new to chicken keeping, so it’s good to kmow I’m doing the right things here. Thanks for the reassurance! I took in the ‘hatch’ from my daughter’s school one year, (she is a teacher). They turned out to be Leghorns in a cold, New England climate. Roo lost his comb and part of his wattles last winter, in a non-heated, non-insulated coop. Wattles are turning blue once again, but this year, I turned on a heat bulb over them for the night time (up high that can’t be reached) when temps get below 20°, if power goes out overnight and remains out longer than a day, we have two generators we run to replace the power. 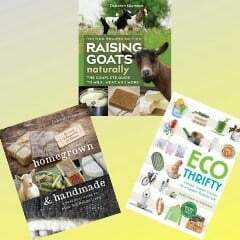 We also refrigerate goat’s milk, can’t afford to lose farm income! We wouldn’t have chosen them as a breed for New England, but, they needed a home and the eggs were donated to the school without consideration as to where the chicks would be living. I try to use that heat bulb only sparingly to keep Roo and his girls out of pain. They go outside when the sun”s up at their own discretion.